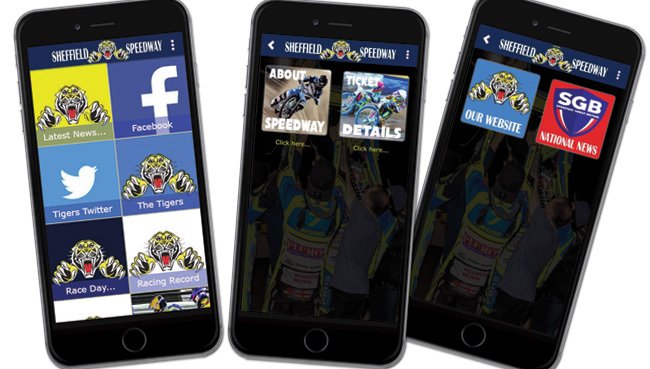 Sheffield Speedway is recognised within the sport as having the best facilities for looking after/entertaining sponsors, their guests, and giving a fantastic experience on race-night. 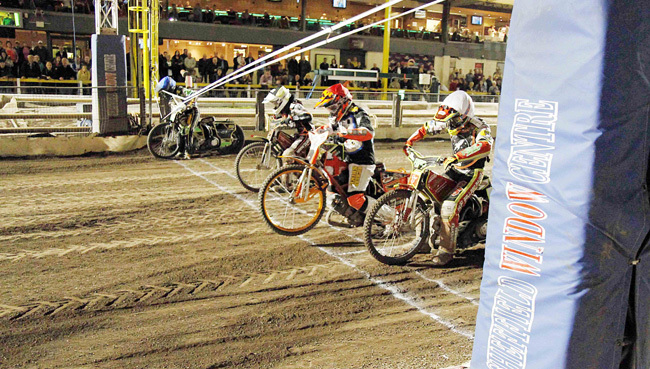 We are the only Championship League speedway club to have maintained a main team sponsor now for over ten consecutive seasons. 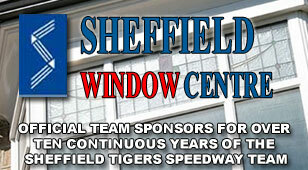 Our current sponsors the Sheffield Window Centre have been backing us since 2007 and it has always been the aim of both them and us to be seen as the best in the business. We continually look at how we can give value-for-money and maximum exposure to our sponsors, budgets are regularly reviewed and we feel we have a package to suit all businesses and individuals. From single race sponsorship, stadium advertising, to team partners, there are numerous permutations. We can include hospitality, team wear and on-site promotions to benefit you. We want to work with you and give value for money. We sensibly put back some of your help into looking after your interests and maintain the best possible partnership for us both. Our back room team consists of professional managers, journalists, website designers and creative media specialists. Match night presentation is handled by Abstract Dance Promotions, a full time professional team who also cover Sheffield Wednesday and Rotherham United. 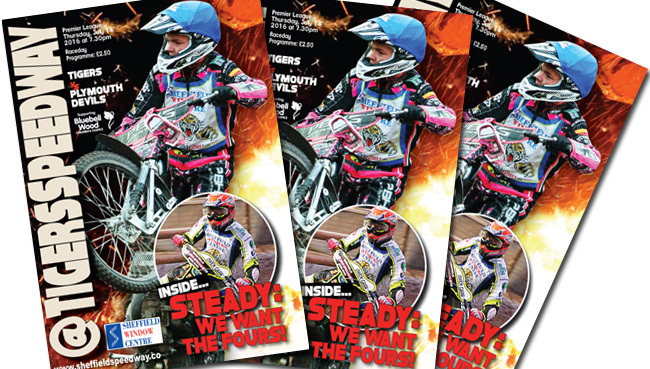 This whole package, plus daily coverage in local newspaper and national speedway magazines, really does give us the best possible opportunity to represent your interests and help take your business forward. Prices and Packages will be available on application, tailor-made to suit the individual requirements of specific potential sponsors. We offer company name on front cover of programme, numerous mentions throughout meeting by meeting presenter, corporate hospitality available from carvery tables to executive boxes, meals and refreshments available as arranged, varying numbers of guests, opportunity to meet the riders and possibility of watching a race from the centre green. All these fantastic experiences will be discussed and included in the package once agreed. (We sell around 600 – 800 programmes each meeting. Also last season we were voted third best programme throughout British speedway). (Company name alongside specific heat every week throughout season, mentions by announcer before and after that heat every meeting). Bespoke packages or partnerships to suit all individuals/business requirements can easily be arranged to suit your budget. 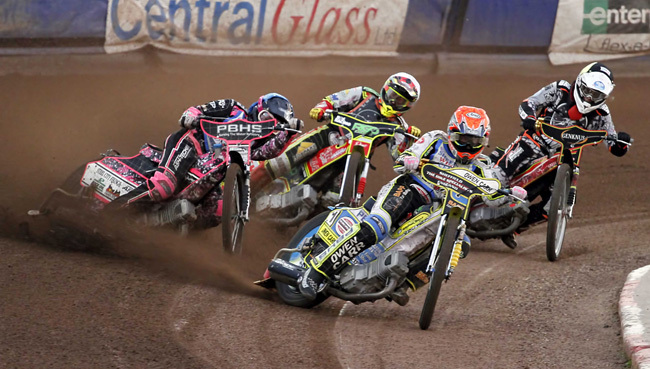 Please contact Speedway Office to discuss your requirements.